Hamster are bringing another classic SNK arcade to modern-day platforms. 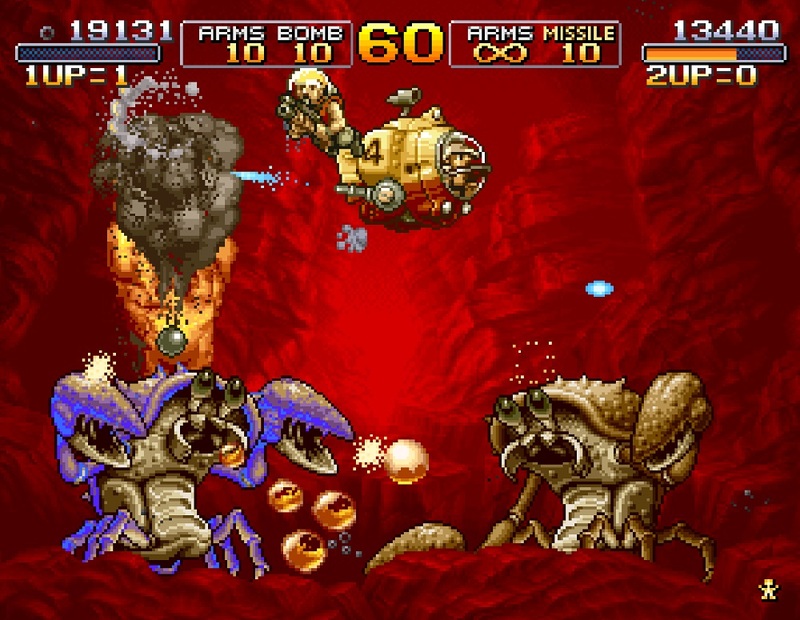 As part of the ongoing ACA Neo Geo range, today sees the release of platform shooter Metal Slug 3 for the PS4 and Xbox One. Originally launched in arcades in 2000, before being ported to almost every home console under the sun (including PS4, oddly, making this a re-release), Metal Slug 3 is one of the most well-remembered of the frantic run 'n' gun series. Taking a deviation from its military roots, this edition of the series features undead monsters, intergalactic beings, Ark of the Covenant-esque spirits and, yes, crab people. The game also introduced branching pathways to the series, and is well remembered for its comedic mechanics which turned the player into a zombie soldier, or a portly ball should they collect too much food. The four selectable characters can ride into battle atop a range of new Slugs, including Drill Slug, Slug Mariner and the amusing animal hybrids: Elephant Slug and Ostrich Slug. Given it's low cost, it may be worth pulling the trigger on this arcade classic. Metal Slug 3 is available for download today on PS4 and Xbox One, priced at $7. The trailer below is for the game's previous release.